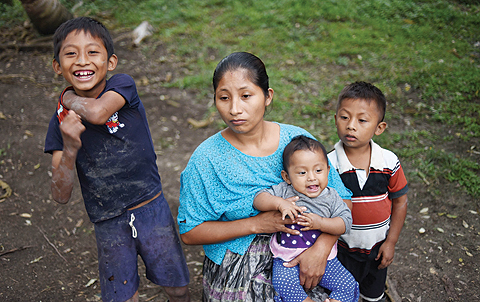 RAXRUHA, Guatemala: Outside a humble thatched-roof home deep in the lush Guatemalan countryside, the mother of a seven-year-old girl who died after being detained by US border agents tries to remember happier days with her daughter. The 27-year-old woman mournfully points to a nearby tree that young Jakelin Caal enjoyed climbing. “I feel pain and sadness over the death of my daughter,” said Claudia Maquin, speaking in her native Maya Q’eqchi’ language through an interpreter. Corn stood behind her palm-thatched wooden house and a few chickens and pigs scrabbled in the yard as she spoke, dressed in a traditional blouse with a 6-month-old baby in her arms. A family photograph at the house showed Jakelin smiling and looking up at the camera, wearing a pink T-shirt with characters from the cartoon series “Masha and the Bear”. Deforestation to make way for palm-oil plantations has made subsistence farming increasingly hard for the 40,000 inhabitants of Raxruha municipality, where the family’s agricultural hamlet of San Antonio de Cortez lies in central Guatemala, local officials said. That has spurred an exodus of migrants. Jakelin’s death in American custody on Dec 8 – which followed her detention after illegally crossing from Mexico with her father – has reignited a debate in the United States on immigration policy and mistreatment of migrants. It has also shocked residents of this indigenous farming village of unpaved roads that has neither electricity nor running water, and where crushing poverty is the norm. The child’s death came as President Donald Trump struggles to deter a tide of migrants fleeing poverty and violence in Central America. 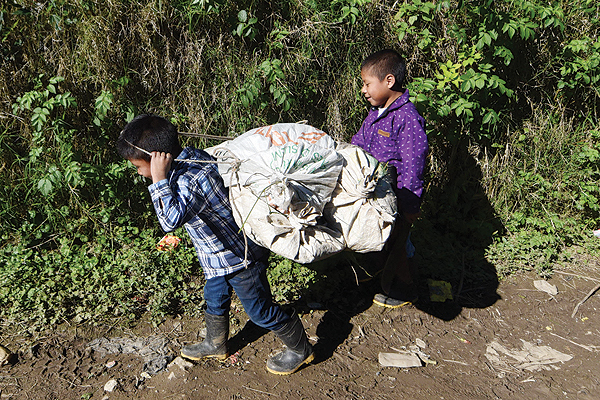 Nearly 60 percent of Guatemala’s 17 million people live under the poverty line, according to government and World Bank figures. That rate is higher in indigenous communities like the remote village where young Jakelin lived in the municipality of Raxruha, some 145 km north of the capital Guatemala City. Jakelin’s father Nery Caal, 29, left the village to travel to the United States with her on Nov 30. “He left out of necessity,” Maquin told AFP, with her father-in-law Domingo Caal acting as an interpreter. “When he left he said that he’d be looking for work there,” she said. Jakelin traveled north with her father because “the girl was very close” to him, said Domingo Caal, 61. He said the girl was “jumping with joy” as she began the trip. Before leaving “she told her mother and grandmother that when she grew up she would work and bring money to them,” he said. The US Department of Homeland Security confirmed the death of the girl, saying she died of dehydration and exhaustion in an El Paso, Texas hospital less than 24 hours after being detained as part of a group of 163 illegal border crossers in a remote New Mexico border area. The DHS confirmation came only after it was reported by The Washington Post. Guatemala’s foreign ministry said the child came down with fever and was shaking and vomiting after she was in US Border Patrol custody, where she received aid from paramedics before being hospitalized. The girl’s father, who is seeking asylum in the United States, issued a statement Saturday in his family’s name “seeking an objective and thorough investigation” into his daughter’s death. The statement was read to reporters by Ruben Garcia, the head of Annunciation House, the refugee shelter where he is staying in El Paso, Texas. Jakelin, who was just five days past her seventh birthday, had not been crossing the desert for days and “had not suffered from a lack of food or water prior to approaching the border”, the statement read. The statement also said that it was “unacceptable” that US agents had the father, who mainly speaks Q’eqchi’, sign documents in English. The father, speaking through a representative in Texas, said the girl exhibited no sign of distress at the border. Immigrant rights activists, several waving signs and clutching pictures of the young girl, rallied to protest Jakelin’s death in downtown El Paso as Border Patrol agents warily looked on from a distance. 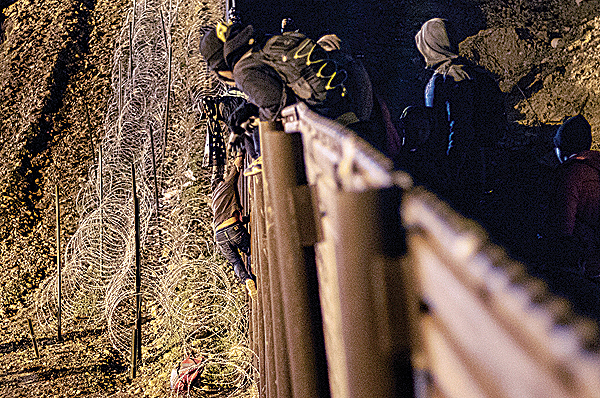 “We want to know what happened during those hours in which she was detained and then taken to hospital,” said one of the protesters, Fernando Garcia, head of the Human Rights Border Network advocacy group. The Department of Homeland Security’s inspector general announced an internal investigation into the girl’s death. The Guatemalan government has offered to bring back the girl’s remains, and said that her father would be released by special permission from US immigration authorities. The late girl’s uncle Jose Caal told AFP that it could take some three weeks to complete the process to repatriate the girl’s body for a funeral. “It’s very painful, very painful, but what can we do?” asked Domingo Caal. “What happened, happened, but it’s painful,” he said. The family hopes the girl’s father can remain in the United States. “What I want now is for Nery to stay and work in the United States. That’s what I want,” said his wife. A Guatemalan consular official told Reuters on Friday that Caal told him he had crossed the border planning to turn himself in to US authorities, and will try to stay.